Native Android and iOS application in 5 languages with which your visitors can download and listen to your audioguide by simply scanning a QR code (you can download it in the center, from your website or you can send the QR in advance for group visits) . Already available in the markets looking for Audioguíame. 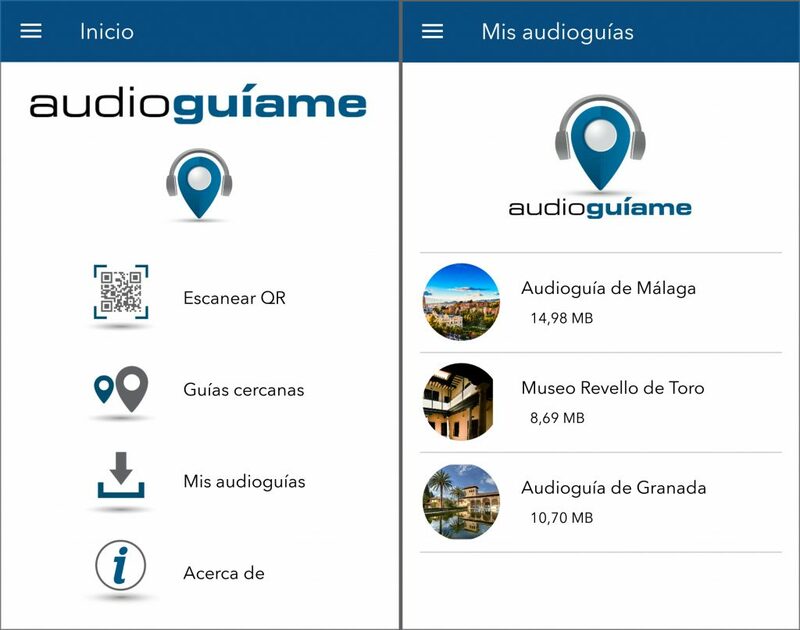 You can record your audioguide in all the languages you want. Offline mode, without data consumption, once downloaded the audioguide. Tracks compressed for a minimum consumption download (about 10 MB of data for 30 minutes of audios). Your visitors can take the audio guide on their mobile devices: ideal for expanding information and school visits. Satisfaction survey with which to obtain information and data about the visitors and their opinions regarding the visit. To know more visit the Application section of our website.